Whether you recognize it or not, all successful organizations regardless of what they do or sell-have one thing in common: their owners, senior management and front line staff know how to build and maintain relationships. Without strong relationships, it is impossible to have success in business. We've all heard it before: it's not what you know, but who you know. But what we should be thinking is: "Its not who you know, but its about who knows you"
I would also goes as far as saying: "Its not who you call but who calls you"And thanks to LinkedIn's powerful platform, reaching out and building your network has never been easier with over 80 percent of Australia's five million professionals now on LinkedIn. With one click of a button you can connect with millions of new potential customers, find new potential partners to help grow your organization, connect with the media to build your personal or company brand and even hire new staff. And best of all every connection you make is targeted. Gone are the days where you need to spend countless amount of hours implementing marketing strategies in order to get in front of key decision makers for your product or service. LinkedIn allows you to search, connect and develop relationships in real time with anyone around the world 24 hours a day 7 days a week. I am getting excited just writing about it. Take a moment now, stop and think about the possibilities this creates for you and your organization. No longer will you have to pay high recruitment fees to find new potential employees, simply use LinkedIn's powerful recruitment features to search, find and connect with talent all over the world. No longer will you have to spend hours and hours traveling to networking functions, in the hope that you will make a valuable contact. 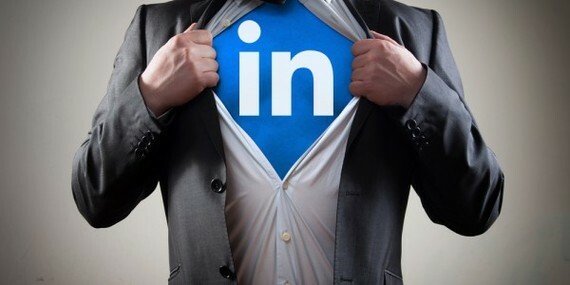 With LinkedIn you can connect with 100's of targeted business professional every week. In a business world that is rapidly changing all the time, learning and implementing the latest sales and marketing strategies is not a choice it is a necessity if you are to stay relevant. In fact if you are 'NOT' on LinkedIn, I recommend stop everything you're doing right now and create a profile. Your profile is one of if not the most important aspect of building your personal and professional network. Unlike five to 10 years ago, nowadays people buy into you, before they even look into your company let alone your product. I am sure you have heard of the saying: In life people don't plan to fail they fail to plan. Well business is no different; planning gives you a sense of purpose and direction. Think about some of the goals you would like to achieve within your current role over the next 3, 6, 12 months. Once you have written this down, now start to think about all the people you need to connect with in order to help you reach those milestones. For example if you are looking to increase your personal or company profile you may want to start connecting with journalists and editors in business. If your aim is to increase revenue you may want to start connecting with potential joint venture partners. The point of the matter is, make sure that the connections you make are meaningful and targeted in helping you achieve your goals. (What's In It For You) initially. Just because they accepted your connection invite doesn't mean they are interested in what you have to say, remember: to be interesting you have to be interested. Building relationships through LinkedIn is no different to dealing with people in a network function, through a friend or colleague, it's all about adding value and creating a win-win scenario.